Your favorite Viking play of the Year? Horrible video, but got me pumped up! Re: Your favorite Viking play of the Year? Wow, good question... I will hve to think about that for a bit. I'm not going to go for one of Peterson's many ridiculous runs this year. The 3rd and 27 was brilliant. Audie Cole's two plays of perfection has to be ignored as it was garbage time in preseason so I'm going for an odd one. Ponders basketball attempt that was tipped but somehow, miraculously caught (well, kind of) by Wright against the Packers. I still don't understand how it wasn't picked off. I just knew we were playoff bound at that moment. 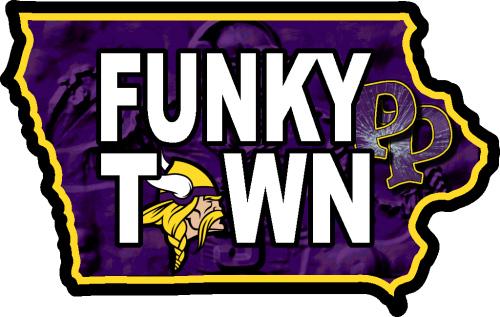 I am going to go with Everson Griffen's pick and run back for touchdown..
That was the start of our run to get the playoffs after a month of not so great playing IMO.. I think Percy's KO return against Detroit. It was a think of beauty as he wasn't even touched. I loved Ponder's 15 yard touchdown pass to the Red Zone Reindeer against the Titans. He seems to have such an innate ability at times to delicately deliver perfect touch passes, dropping them into the basket, before watching Kyle snag the ball out of the air in double coverage. Thing of beauty! Peterson's first carry of the season. Haha, that's a good one. It was definitely relieving. Tough question. I'll vote for the Harrison Smith int for a touchdown vs. the Cards. I was row 2 that game by the corner of the end zone. He ran it in and the Vikings players celebrated right in front of me. I actually saw myself in the highlight video when I watched it online. Good stuff! Percy Harvin's touchdown against Tennessee. Watching in the Dome was even better!